Inspired by the song the ‘Twelve Days of Christmas’. Bold colours are set against light wood and finished with red and white twine for a wonderful festive feel. 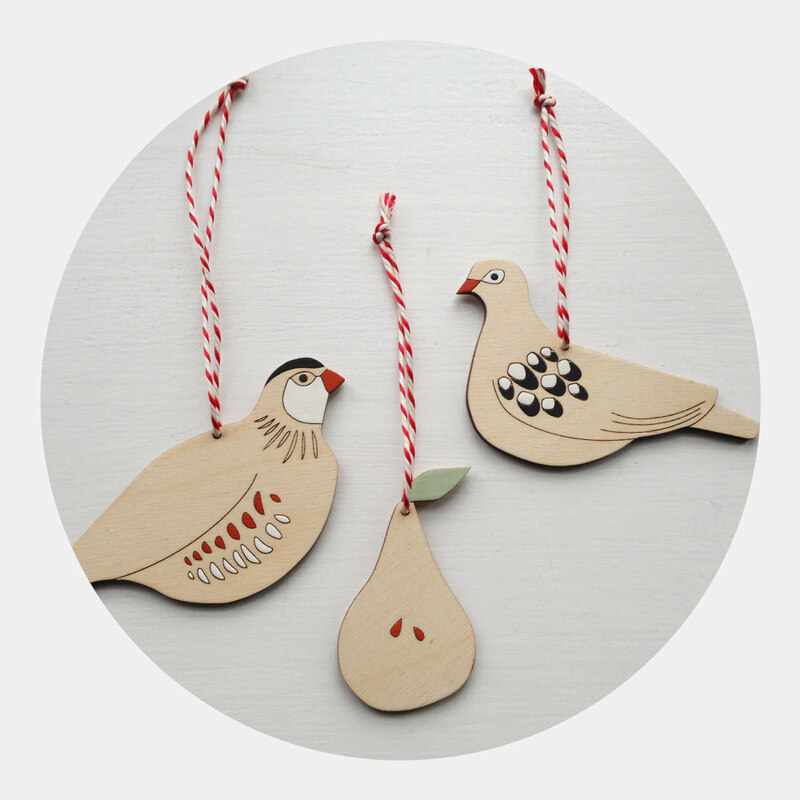 Partridge, Pear and Turtle Dove come individually or as a set. 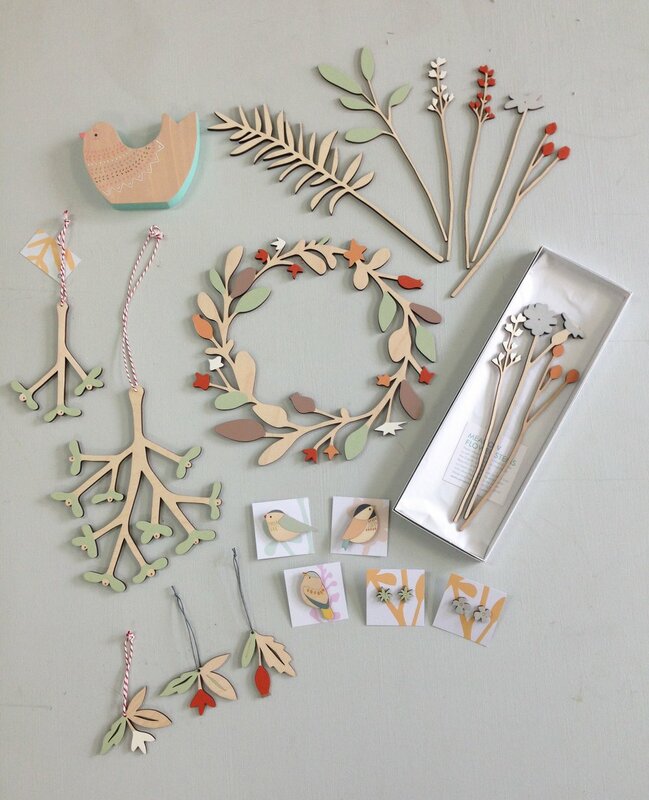 The beautiful winter flora of the English countryside celebrated in this stunning wooden wreath. Hand-painted with love and care: a true heirloom piece to be enjoyed for generations. 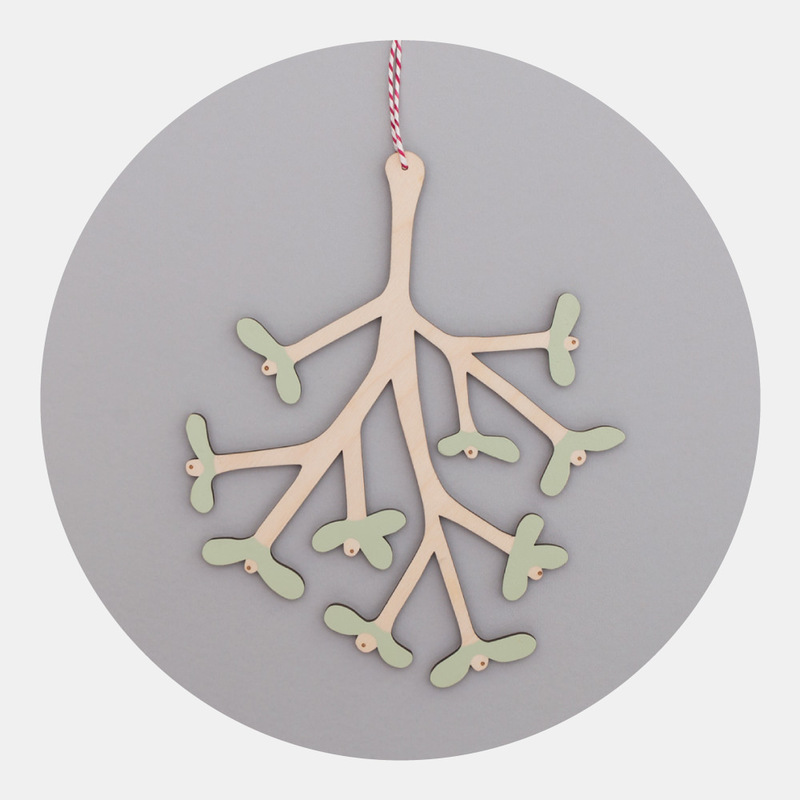 Hang up this fun wooden mistletoe decoration in your home year after year, so that you never miss a Christmas kiss! Hand-painted and available in large or small sizes. Make your parcels and presents look beautiful this Christmas with our eco-friendly paper gift tape. A pretty design of ferns and flowers proudly produced in the UK. 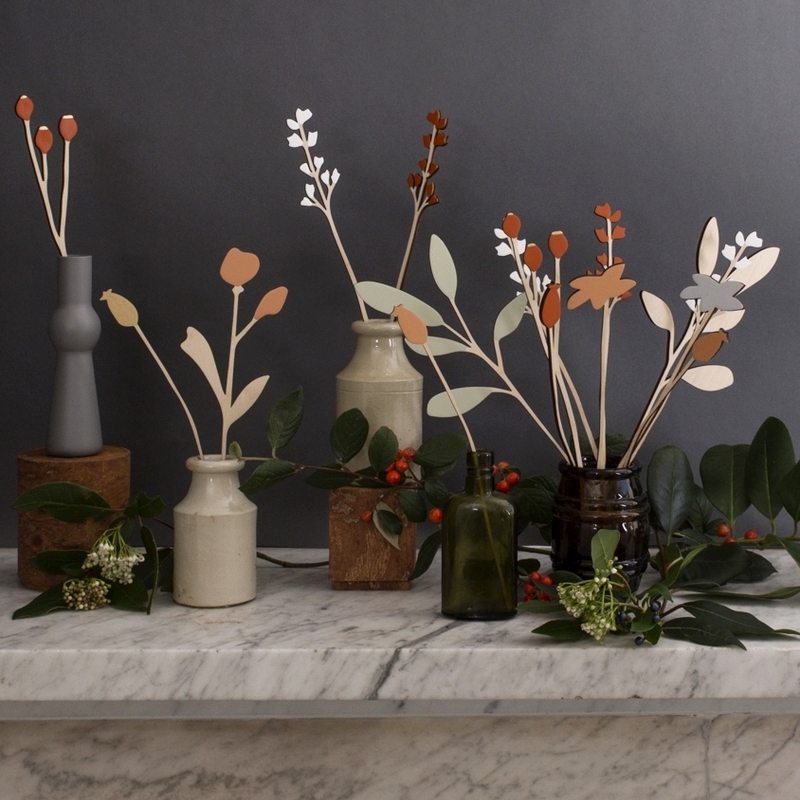 Style your wooden decorations with winter berries for beautiful effect. For more of our specially selected seasonal products, click here.